If they don't enter LMP1, they literally cannot win. If they do enter LMP1, they have a chance, however small. Don't get me wrong, I'll still have a chuckle when the next car somehow still sets itself on fire, but if this is considered the worst team on the grid, then we're miles ahead of where we were 10-15 years ago. Yes there are things to smile about, criticise and wonder why. However, sometimes it should be remembered they aren’t just some dude posting on social media. They are racing at Le Mans, well until it catches on fire. That still earns you 68,000 more cool points. For those who have followed CART/Indycar: remember how many years Dale Coyne Racing used to be at the back of the pack. By now they have won 6 races, and while still not a true top team (like Ganassi/Penske/Andretti) nowadays at none of the races they can be counted out as a potential winner or podium finisher. Who would have thought that in the mid 80's - late 90's ? I have the same question. We are told modern LMP1 is extremely expensive, it should be cost capped and so on. Only watchmakers and bank owners are able to have a private LMP1 team. And Kolles, with almost no sponsorship at all. Who are those ENSO? If you can build a modern LMP1 with almost no sponsorship, then why to destroy this class? Or budgets are high? Then, it's not understandable how Kolles is able do keep racing for such a long time. I was wondering the same thing about ENSO and who they are. With Kolles involved anything is possible. That said good on em for having a crack. Used to not have a lot of love for them but over the last couple of years that changed and while they’re not gonna win anything I respect their commitment to the category. If they want to keep going under the new rules all the best to them. Let’s hope we see less fire. 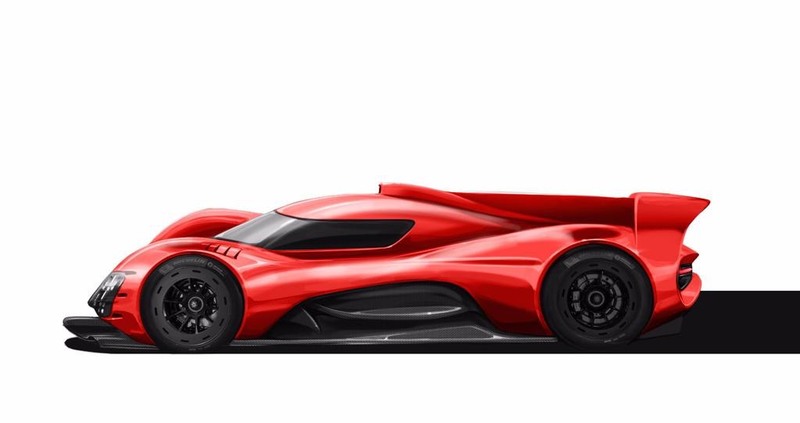 All the talk about the team and how they are still around, looks like they will continue to be around for the new hypercar rules as well. I was wondering the same thing about ENSO and who they are. ENSO seems to be a mysterious company. But the world is full of obvious things which nobody by any chance ever observes. Well i am British so supporting the underdog is in my blood, always loved the Mazda's when i first started going to le mans in the early days when they seemed doomed to never be close to winning and look what happened to them, i was there and the entire pit straight cheered them home even those jaguar fans who had to watch the jags take the rest of the podium. Where observation is concerned, chance favours only the prepared mind. The team that aims to build a hypercar can't even sort out their engine thing? I must say it looks good at least from this angle. I don't think saving up for that has anything to do with the current engine situation. Im so bloody confused about hypercars. Wasn't the point to provide more of a link to manufacturers and their road cars? Where does Kolles building a new flammable object fit into that philosophy? As long as the cars look good and go well I suppose I don't really care.